We offer English language lessons in London with a flexible curriculum tailored to your needs! Nowadays every modern person has attended or at least wanted to attend English language lessons. But for most lessons they are incompatible with daily duties and schedule. And for Bulgarians living in the UK, English lessons are a necessity. Even those who have already taught language often need to improve and raise the level. The island offers many opportunities for development and work. One of the advantages over other countries in Europe is that the main language is English. It is no accident that English is an international language. Grammar, vocabulary and the very structure of language are relatively easier and more enjoyable to learn than other world languages. The lightness of his study allows him to be used all over the world. While studying English at school or at courses, the teacher’s attention is definitely more limited. Even on English courses to speak to each student separately and to spend more time on their preparation, nothing can be compared to private English lessons. With them the trainer can calmly ask his questions and get answers. Only his / her development will be monitored and will therefore receive more specific and accurate guidance on what to emphasize. While learning groups emphasize the mistakes most commonly accepted by you, you will only look at your mistakes in individual English lessons. You will discuss why you have allowed it and how to fix it. You will focus only on the grammar and structures you are having difficulty with. You will not waste any time with things already learned. If you are in London and need to learn the language for a short period of time, individual English lessons are your decision. You will learn the whole matter for a short time. You will go through adequate and quality training with the help of some of the best teachers in London. The classes are based – in London, along with the surrounding environment – will be much more effective when you get individual attention and learn according to your own needs and tempo. Our school has thought about your needs. Write on individual English lessons and do not waste more time. * The price is per hour. 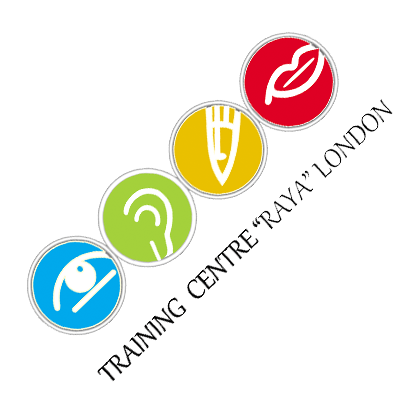 Training Centre Raya London is a new and fastly developing English Language School specialized in teaching English as a second language. Founded in 2015 we are small enough to provide a personal service, but large enough to have very good facilities and resources for the students to learn English in UK.